Welcome to the sketch thread! This is a place to post your practice sketches and unfinished works. We don't always have time to create a finished masterpiece, but everyone has some time to sketch now and then. Anyone is welcome to post here. 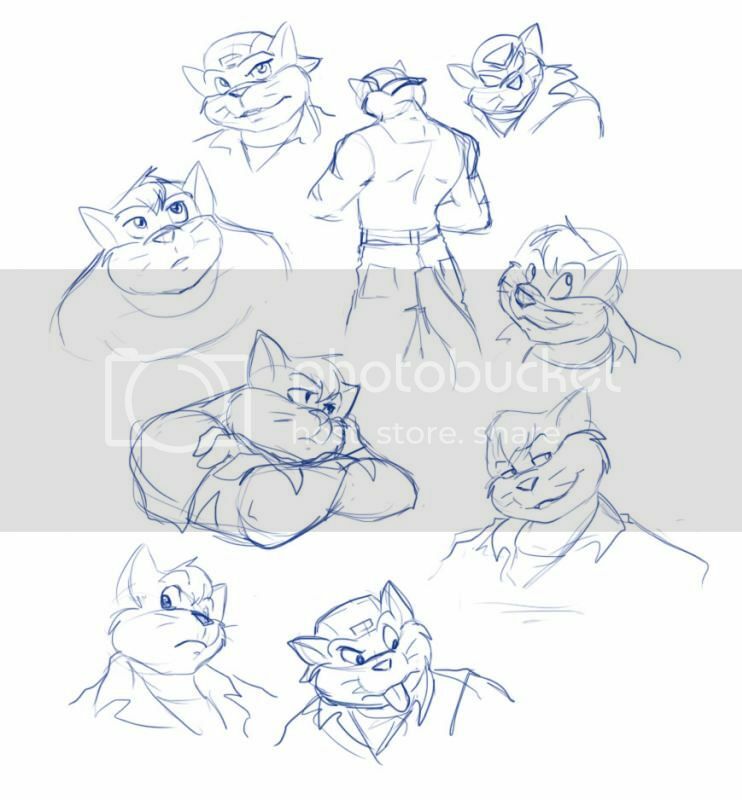 Must be Swat Kats related, can also be SK OCs. Here's a pic of Jake and my OC Tawny, patching each other up after a night of fighting baddies. Nice sketch, Ty-Chou! I'll post something here too if I can. Very nice action shot RazoREO! I've been neglecting my own sketch thread. Have plenty of sketches sitting around and never get around to fiddling with the scanner. Here's just some random character designs of katizens. You have a real talent for expressions. What media do you use? It sort of looks digital, like a sketch in Paint tool SAI, but I would also guess pen...? Maybe? I love T-Bone's expression when he's standing near Callie. I use photoshop and a wacom tablet. 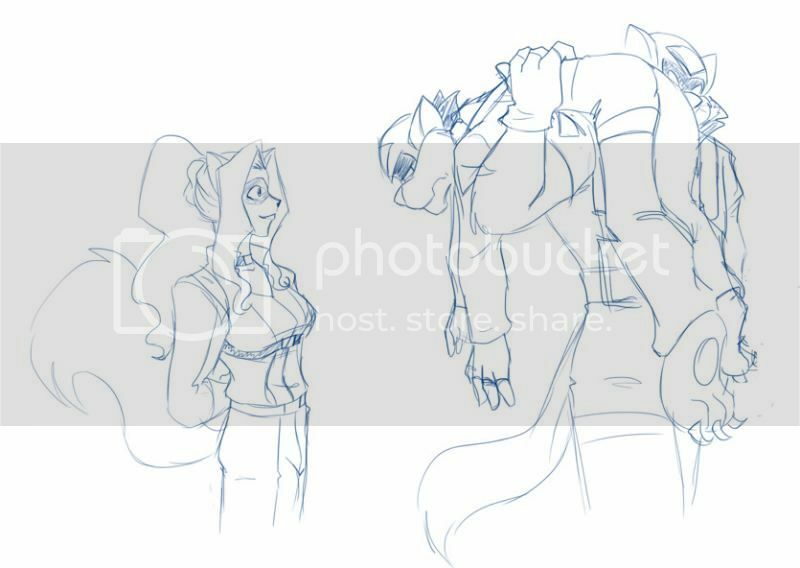 Here's a sketch of a scene from my fanfic "Masks"
Just a reminder, other artists can post their sketches here. 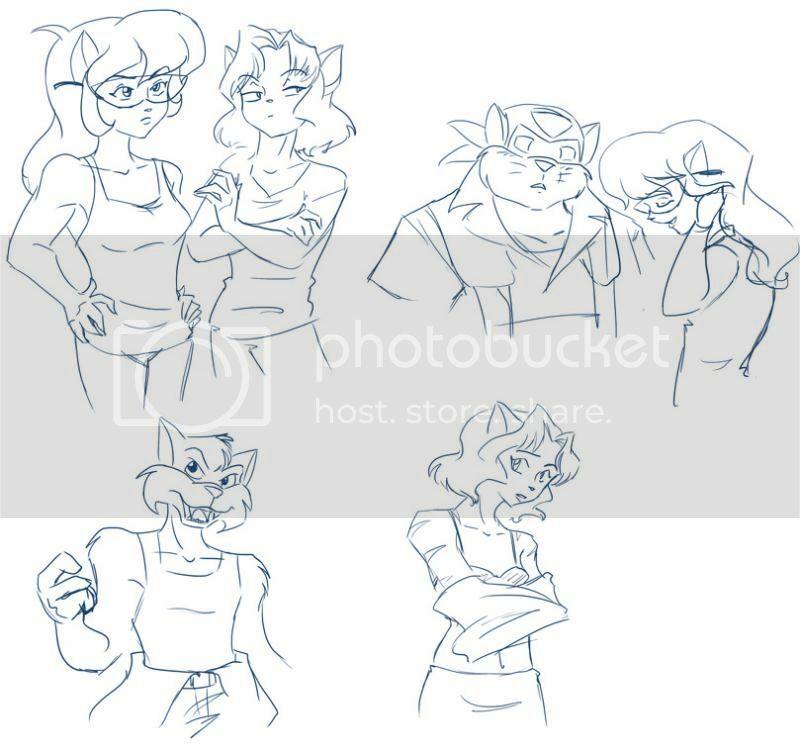 Feel free to doodle Swat Kats and share. Ivy seems awesome! I always love Enforcer female OCs.